Player of the Week: Kobe Bryant. The Laker star surpassed Jerry West to become the all-time leading scorer for the historic franchise. He also hit the game-winning shot in Boston to take the Celtics down. Team of the Week: Georgetown. We here in America would like to thank the Hoyas for laying the smack down on White University err I mean Duke University. Once again the Blue Devils will go nowhere in the Tournament making life that much better. Sorry Vitale. Play of the Week: Landon’s first goal for Everton. Landy is laying it down over in England. Goat of the Week: Rudy Gay. It helps to watch the clock Rudy. Vindication of the Week: Tim Tebow is not an NFL quarterback. After his pathetic play in the Senior Bowl, and the practices leading up to the game, Tebow should go to the combine and start working out as a TE. He simply won’t cut it as a professional quarterback. Website of the Week: scout.com. With it being Signing Day, I have been on the recruiting site nonstop. 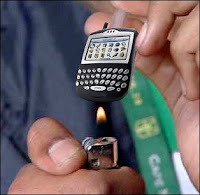 Technology of the Week: My new Blackberry Curve. Love it…just wish I knew how to use it. Upcoming Game of the Week: Um…maybe the Super Bowl?